You have probably heard stories about these over-productive people with too much time on their hands, going out of their way to make their own soap. Perhaps you have read the old books "Little House on the Prairie," and heard about how hard it is for people to make soap from scratch. True for most of us hard-working people with jobs and a family, this whole process of boiling lye and lard is a bit beyond our abilities. For most of us it is just impossible because of time and skill limitations. Well don't worry there is an easier way. Admittedly it may not be true handmade soap, but here is a way to make laundry detergent out of only three ingredients that you can buy cheap at your local grocery story. You may wonder why you would even bother. Well if you are on a short budget and are looking for ways to make things cheaper if only by a little bit, then this might be something that you would want to try. Here are the ingredients. Take these three ingredients and stick them in the kitchen blender, and grind them down to powder. Make sure to break the Naptha soap bar down a little so your blender can handle it. You wouldn't want a bar of soap bouncing off the walls as soon as you turn on the blender. This slightly gritty power that you now have is your new laundry detergent. You want to use an eighth cup of this powder per load, depending on the load of course. This detergent won't have any fancy perfumes that the soaps from the grocery store would have, so if you sometimes have problems because of the smells the store-bought soaps have then this way of making soap has a double bonus for you. Not only will it be cheaper for you, but you will be able to avoid the extra perfumes that the other soaps have. I have been doing this for about a year now, and using it with a high efficiency washing machine. 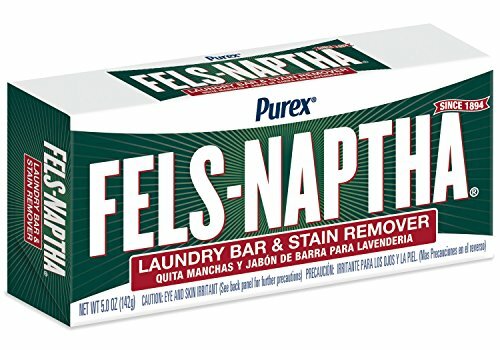 No problems, clean clothes, and saving money! I recently realized that I was spending too much money on Swiffer products to clean my floors. I saw Rubbermaid was marketing a floor cleaning product that people could use their own solution. I decided to make my own floor cleaning solution that is fast, easy and so much cheaper. The recipe I make is: 1/2 cup of white vinegar-cleans and sanitizes 1/2 cup of rubbing alcolhol-reduces streaks and helps floor dry quicker 1 cup of water-dilutes solution and helps it last longer 1 tsp. dish soap (I use Dawn to cut any greasy spots)-gives extra cleaning oomph Few drops of peppermint or other essential oil of your choice or use a few drops of lemon juice-for better smell I do not mind cleaning my floors now (well, I can't say I really ever want to clean floors, but using this new solution helps me not dread doing it as much!). I don't have to try to get rid of the smears/streaks made by the Swiffer floor cleaner and I am saving a lot of money not having to buy pads. I even bought an extra red pad so I can change them out if the floors are extra dirty. When done cleaning, I just pull the pad off and toss it into the washing machine. So much easier and who doesn't want to save money?